Slieve Foye (589 Meters) – or Carlingford Mountain – rises above the pretty village of Carlingford. 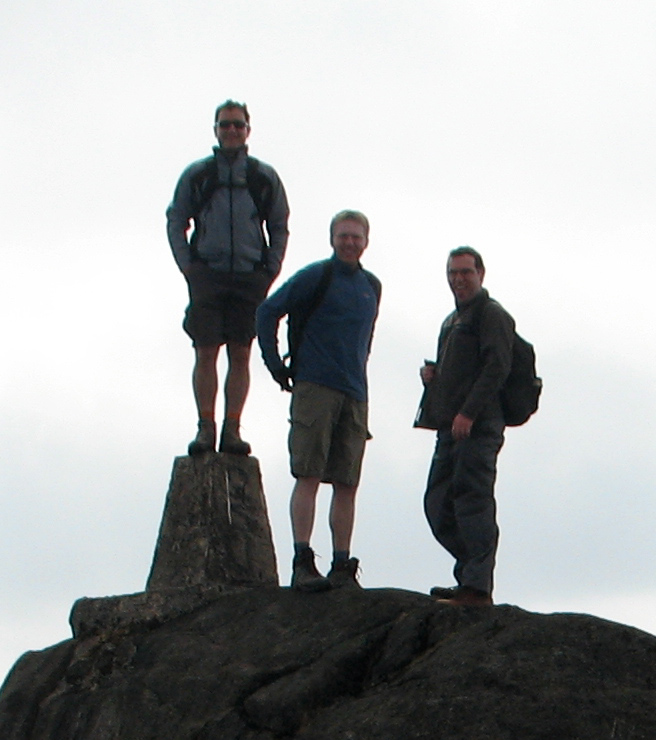 It is the highest point in Louth, our smallest county, and provided myself and two pals with the best walk so far of this quest. These hills are steeped in history both ancient and recent, from the Cattle Raid of Cooley, also known as The Tain; to the thousands of non-existent sheep local farmers were caught claiming for during 2001’s foot and mouth crisis – known as being a cute Hoor. There are a range of walks in the area that can be started from the village. We planned to travel the long ridge that runs roughly parallel to the Lough, reaching a high point in Slieve Foye. Having two cars with us allowed us to meet in Carlingford village before transferring to one and driving through nearby Omeath to reach the Windy Gap. The car park here gives stern warnings to make sure that your car is well secured, though we didn’t see any tell-tale piles of broken glass so hopefully break-ins are not too common. From here we followed a rough track that winds and climbs steadily up towards the 404 meter spot height at Foxes Rock. From this point we could begin to make out the route that lay ahead of us, which looks brooding and quite otherworldly, no gentle rolling hills in this neighbourhood. We continued on, contouring around The Ravens Rock, passing through the Split Rock area which I imagine can be quite boggy after rain fall, before climbing again towards The Eagles Rock. All along the way we frequently stopped to admire the views and the landscape we were travelling through, which is scattered with rock outcrops and boulders perched at precarious angles. Dramatic stuff. I also tried to put into action my as yet untested navigation skills from last week’s training but much of the time the route is self-evident so we didn’t linger too long. The Eagles Rock served as a fine lunch stop, with views down towards the lough and the outskirts of Carlingford village. Unfortunately it was a hazy day so we couldn’t see much of the Mournes opposite us, or the views down the east coast towards Howth and the Dublin Wicklow mountains which would be visible on a clearer day. A further twenty minutes or so saw us at the trig point for Slieve Foye. From here it was all descent down towards the Golyin Pass, with the mountain behind us looking more and more impressive the lower we went. It really towers above the town and looks very steep from below. Foye from below, near Golyin Pass. The route we took was thoroughly enjoyable, and when started from Windy Gap involves significantly less climbing than the same route in reverse. I also suspect that the ridge is more satisfying to walk up rather than down…something I’d like to verify on a return trip. It also seems to give better odds of getting the place to yourself. We didn’t see anybody else until we neared the top of Slieve Foye, at which stage there were lots of folks about. Our walk took us 4hrs 15 mins, with about an hour for stops. On top of Louth's world. Slieve Foye, Carlingford. There are references to a looped walk that takes in the summit of the mountain. All the information I can find suggests that it is badly sign posted and potentially dangerous during wet conditions. We didn’t try to follow it, so I’m just repeating what I have read. Here’s a good write up of the looped walk. Our route is covered in the opposite direction in Joss Lynam’s Best Irish Walks. Here’s a general write-up on the area from the Irish Times. As mentioned, the town and locality is well worth a visit. This walk features steep ground. You should be aware of the weather and how to navigate, and carry a map. I used OSNI’s sheet 29. You are correct about the looped walk – there are issues in relation to both signage and the descent down into the woods particularly after rain. climbed Foye for the first time from Carlingford and walked from the summit along the ridge east – would love to return and approach it from omeath. One of the most interesting summits in the country. 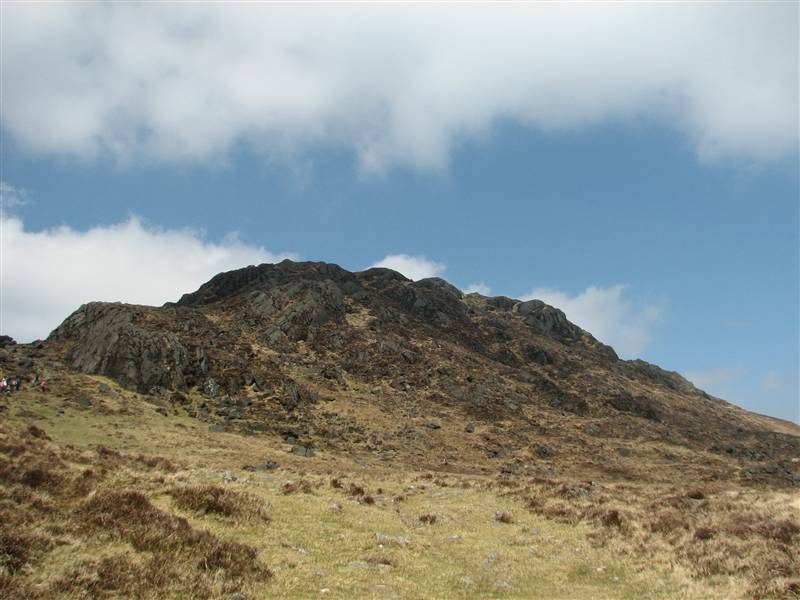 Yeah, Slieve Foye was one of my favourites this year, it gives a great return on your walking investment. Great review of the walk. 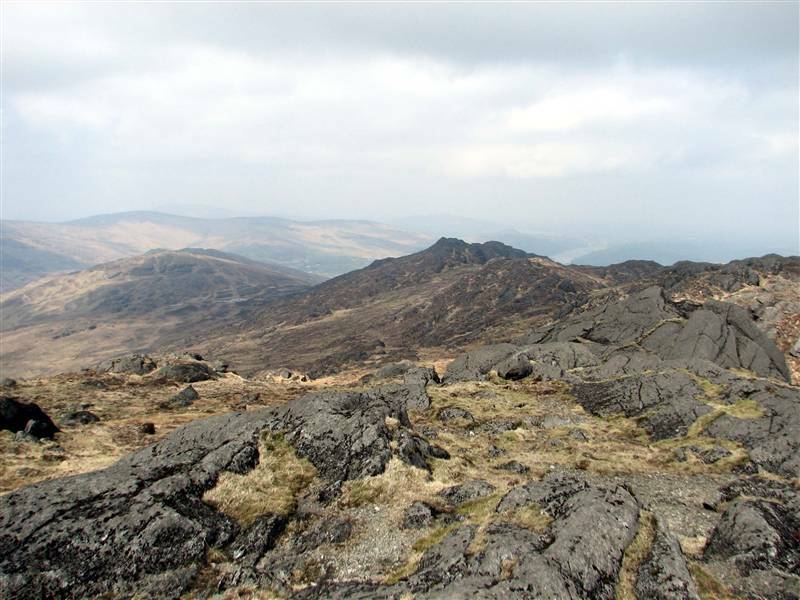 The National Loop Walk no longer crosses the top of Slieve Foye but has been moved to the eastern slopes, crossing just upslope from the forest and rejoining the Tain Trail. 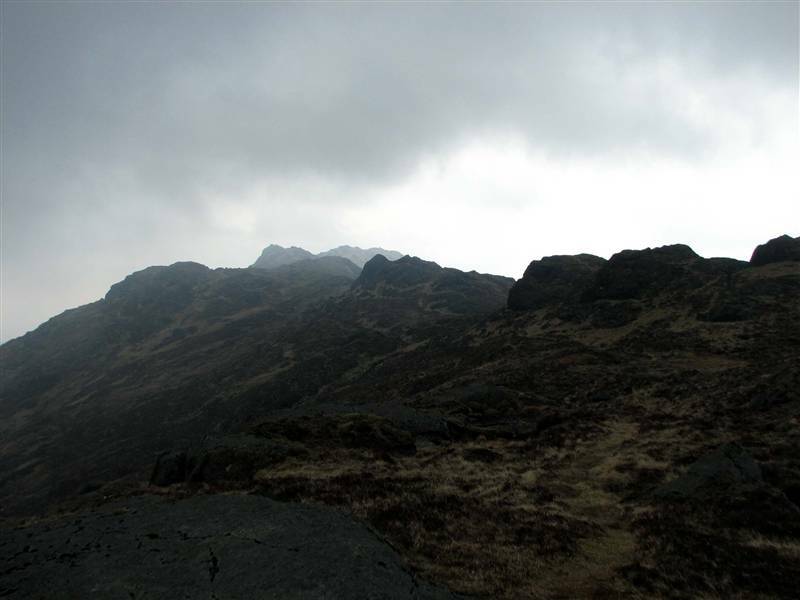 My wife and I guided a reporter from the Guardian over Slieve Foye mountain last year back and you can find his article here http://www.guardian.co.uk/travel/2010/jun/12/ireland-walking-border-legends. Setanta Tours offer guided heritage walks of the area with professional archaeologists http://www.setantatours.com. Thanks for your comments and links Peadar, Carlingford and the Cooley’s are places I’ve enjoyed visiting many times. I always have a great time in the area.